A campaign's only as good as its last session. I really believe that- at least as the campaign stands in memory. There are some exceptions- campaigns which peter out or crash & burn will likely stand on a singular good session or memory of what led to the game's collapse. But if you wrap your campaign up, if you have an ending- it had better be a damn good one. As a GM you're desperately trying to serves different masters. On the one hand, you want that session to stand on its own. It should have a rising arc, a climax and then some form of denouement or resolution. You have to lead into your swing- and a rookie mistake is to have a session setting up the big fight and then handling the fight on the next session. You need some build up, a chance to build anticipation for that session itself. Rolling for initiative isn't that- and it focuses on the tactical aspect over the narrative. That last session has to be a complete story, setting the stakes, providing the conflict. On the other hand, that last session has to support the weight of all the sessions which came before it. It has to live up to the challenges which came before it. It has to resolve some, if not all of the dangling plot threads. At the very least it has to tug on them before moving on. Depending on the kind of story you're telling and how long the game's been going on- that can be a hell of a lot of threads. And that doesn't even take into consideration that what a GM sees as a thread to be resolved may be very different from what the player sees. Another difficulty lies in the path of a train. If you're a GM who prides themselves on openess and improvisation, how do you "plan" for an ending. The concept seems a little contradictory. On the other hand, if you have written your ending- planned it out. How do you handle it when the players jump the rails? For other sessions you'd have more games to put the fixes in, so it wouldn't be a problem. And smacking players back onto the path is a sure way to make them feel powerless in the place where you want them to feel most powerful, or at least in control. I'm a loose game planner. Depending on where the plot is, I usually try to focus on brainstorming details and ideas, think about which NPCs might interesting to encounter, figure out something for each player, and come up generally with plots that are open or need to arrive. I set up situations, but I don't usually think about solutions- I leave that in the players' hands. I might have a couple of ideas, but generally a table of smart people chewing on the problem will come up with a better approach than I can off the cuff. As a GM I'm usually thinking about a different level than the players and that can give them an edge. For the first, this may be a chance to show off their particular skills, the appearance of a hated rival, the presence of a beloved NPC, or the revelation of something regarding their character. For the second, something the players weren't expecting has to happen during the conflict. It can be bizarre or tangential- but something has to happen that runs counter to their expectations. Avoid things that undercut the players cool (like the appearance of an NPC or group to save the day) and know that it doesn't have to be adversarial- it can just be strange. The twist should make the players uncertain about the way that they'd pictured things rolling out. They may have a sense of the inevitability of their win (and it may be inevitable) but this introduces a moment of doubt. Kill one, all but one, or none. Now if you're playing a tactical RPG with no room for error or modification of results, then ignore what I have to say- in fact, probably most of what I'm saying here won't apply to you. It may get a bad rap, but the "Man behind the Curtain" GM approach really helps in the final session. If you're going to seriously go for the death of a death in the final session, assuming you haven't been killing them all along, then just kill or martyr one character. By martyr, I mean, allow them to sacrifice themselves for the greater good. If you kill more than one, then you split the power of that dramatic scene in half. If you're going to kill more than one, then gack everyone except for a last man standing to tell the tale. Anything in between dilutes the moment. Late in the key conflict- chase, fight, debate, caper- be on the lookout for significant moments. Play those up and give them emphasis- slow down and use them as an excuse for a turning point or to wrap things up. And a good turning point is a quick false or real victory, with a resulting sudden rise of the stakes and continuation of the conflict. For example, a player stabs the demon possessed emperor who has been behind things, killing the villains- but it turns out there's an infernal portal which still needs to be closed or the world will be destroyed. Or the characters blow up and escape from the bad guys wasteland fortress- only to discover an army of crazed biker minions still pursuing them. Or at least they happened in a game. Finally, remember that for the final conflict you don't have a budget. Spam the fantastical or whatever elements dominate the genre you're running. Once the conflict's over- don't be afraid to move to some narrative moments. Keep an eye out- the player who managed to get the least cool in the conflict should get the most immediate scene or thread resolution. I mentioned before the GM fear that they won't wrap up every plot thread. The truth is: you won't. But if you wrap up at least one major or significant thread per player, they will forgive you. They'll focus on that. Get to those quickly. If elements of those threads are present at the scene of that conflict, then do those immediately. You may be exhausted, but press through. Here's where it gets tricky. You've got a couple of approaches here, two big choices. You can either walk off into the sunset or go for an epilogue. Walk off into the sunset really works for shorter campaigns- but sometimes they just pop up out of the blue- a visual moment that seems to sum things up. I had that in a fantasy campaign where the players did some HeroQuesting, fought the big bad, and then popped out in a field, now turning verdant green outside their adopted city. They looked at each other, dusted themselves off and walked on home as the camera panned away. 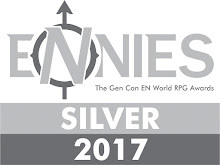 It was the right ending for that game, even though it left many personal sub-plots unresolved, if encapsulated the practical theme of the campaign. Don't drag it out. Quickly told- in and out- wrap it up. Then the players can talk about what happened and decompress. Whatever you do: don't over explain stuff. Leave questions unanswered. If there were things happening that you thought were particularly clever as a GM, but was either stuff that the players missed or couldn't have known- SHUT UP. If the players want to know about that, they can ask later. Focus on their story, rather than yours. SO WHY ARE YOU TELLING ME THIS? In 2012 I plan to wrap up five of the six on-going campaigns. The odd man out is something I run as pick up and so it doesn't count. But I'm hope to finish up these five with a solid and comprehensive endings. One of the campaigns will hit five years of play in February, and two others around three years each. The last two were built for shorter runs (26 and 8 sessions respectively). So this will be a year of massive endings for the groups. But I'm not going to stop running games- in fact I hope to hit the ground running and have new campaigns thought about and selected by the various groups. It might be a chance to add new members or bring back old players. It will also be an opportunity to talk to some players about what they want from the games- and to perhaps add more buy in to some campaigns. In many cases, I hope to use some collaborative pre-game world building as drawn from Microscope, Blood & Honor and Diaspora. And, of course, I have more ideas for campaigns than I could ever possibly run. So for reference, here are the twenty-three I've got in my head that I'd like to run someday, maybe this year...who knows? I will probably pare the list down and perhaps do a survey by group to see what they'd be interested in, as I did here Choosing the Next Campaign Survey and the results. So below you'll find the first six, I'll post the rest on Friday. I have a couple of different superhero campaigns I've been talking about with my players. I've mentioned a couple of them before. 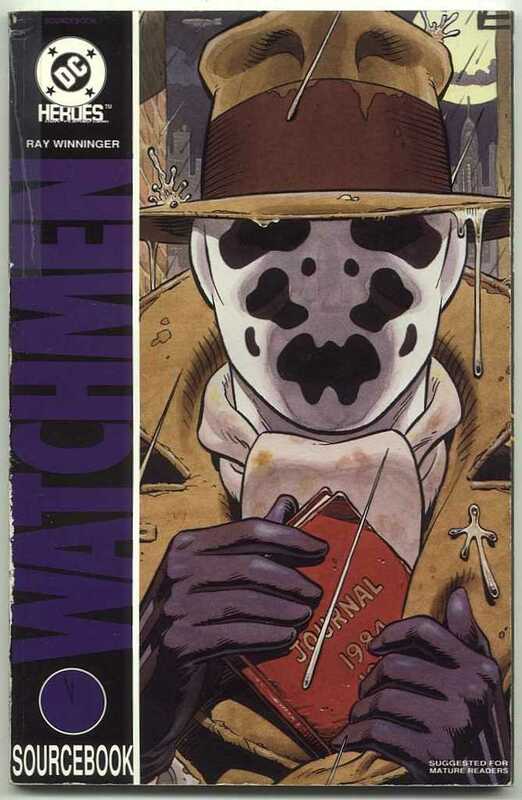 This one would require a group with at least a passing familiarity with comics books, especially characters from the big two. To start the campaign, players would each choose an existing superhero from any universe (Marvel, DC, or whatever). Based on those choices, we'd set some of the cosmology of the world (i.e. more realistic or more fantastic, more sci-fi or more mystical). We'd obviously have to play around with the setting and details. But players would make up a fairly low-powered version of that hero. In some cases, that might mean dialing back what they can do. I'm imagining something like PL6-8 in M&M. The game would begin with the idea that these heroes are just starting out. We might use Microscope to craft a history of superheroes prior to the characters or we might simply assume that the characters are among the first heroes. Either way, it would give the players a chance to play someone they like and perhaps put a new spin on them: different race, gender, origin, etc. Think of it as a big reboot campaign. Some time back, ugh, almost six years ago, I ran a short supers campaign in which powers had a genetic basis, one rooted in different family lines. You can see some of the material and posts about that campaign here. I'd like to revisit that setting, but with a slight twist. Some of this comes out of how much I enjoyed the first Iron Man movie, and some of it out of a desire to consider some areas of the Bloodlines setting that I didn't get a chance to before. Essentially, the players would play supers- but not ones who had genetic powers (with some exception). Instead their powers would come from devices, equipment, armor and experiments (some created by super-powered geniuses). They would exist as a attempt to balance the power of superbeings- demonstrating that normal humans could also deal with the threats posed by powered criminals. Some players could take low-level powers, perhaps combined with expert skills or enhancing equipment. The players would be put fighting against meta-villains, those who follow a magneto-like vision of genetic superiority, and those who want to use them as a weapon against all of superkind. I'm pretty sure this is a campaign which will never see the light of day- I've been thinking about it for eight years, and have a fairly strong idea for the set up and twist. The problem is the historical nature of the setting. I don't really have anyone in any of the groups interested in the period or history games in general. I'd like to build a campaign that creates some bridges from an Ars Magica set up to the battle between the Council of Traditions and Order of Reason. M: SC posits the rise and growing influence of the Order of Reason, with the Council hindered by paradox and magical backlash. I imagine a game taking place in a kind of stalemate between the two sides: with both "new science" and "magic" causing disruptions and problems. I've got more built of that, but given that I probably won't run this one unless something changes, I don't want to invest in too much more planning. System: Homebrew, with elements from Ashen Stars. This is a campaign concept I talked about in a couple of blog posts here and here. I like some of the core concepts from Fading Suns, and I haven't really done a solid science-fiction campaign, though some might argue this would be more science-fantasy. The key, for me, would be first to loosely rework the concepts of the Houses to make them more playable from my perspective. Next, to get the players to collaboratively decide on a new family to add to one of those houses. I might even combine that with a Microscope session to have them build recent events and fit themselves into the timeline. Bottom line- what I really want are some of the best structural elements from Legend of the Five Rings (the interplay of houses, strong and interesting social codes) with the star spanning travel and exploration of Fading Suns. System: Likely homebrew, possibly FATE, possibly HeroQuest, elements of Blood & Honor- will need some crunch to it. I've been reading The Cardiff Boys session reports with a mixture of glee and jealousy. An that got me to read more about The Great Pendragon Campaign, a monumental framework for the history of that period. I love seasonal approach, the multi-generational characters, and the idea of playing against the backdrop of those stories. 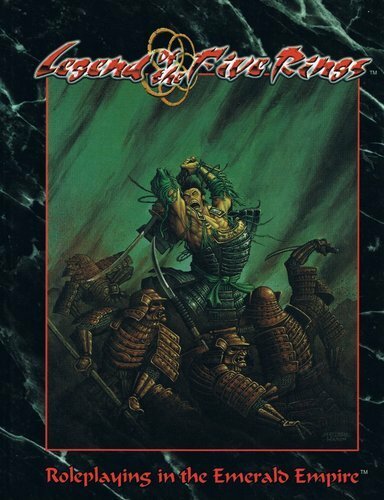 That got me to thinking about one of the few game histories I actually care about, that of Rokugan and Legend of the Five Rings. I bought into L5R when it first came out as a CCG. When the rpg came out, I ran two different campaigns (using different systems). I've stuck to the period of the first edition, ignoring the evolving history after that because there's just so much gaming room in those early days. And those early days encompass so much, so why not run a year-by-year campaign covering that time. Begin perhaps in 1103, with the ascension of the new Emperor, Hantei XXXVIII. Continue on through the next years with the rise of the Bloodspeakers. Then the Scorpion Clan Coup in 1123. Then the Clan War and through to the Second Day of Thunder. More events could follow, depending on the outcome of that. The timeline could change at that point or the GM could press on further. Sourcebooks Time of the Void, The Hidden Emperor and The Four Winds offer rich details of these periods. And the course of history could be changed by the players- perhaps not the biggest events, but depending on their status they might be able to shift some tides. Ideally I would have the players begin by choosing a Clan and creating a new family for them, ala the system John Wick presents in Blood & Honor. They would then have a shared goal and heritage. It would be a newly founded family, allowing the players to come to it from different schools or backgrounds. I think it could be really cool- and might be an amazing way to get the full epic sweep of the history. However, when I mentioned this idea to my players- they were skeptical. We've never done anything like a seasonal campaign, and the idea of a multigenerational character I think make them hesitate. That's something I'd have to consider before I tried to do anything like this. 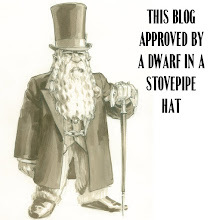 Some time back I talked about Clockwork and Chivalry, in particular how the authors had managed to make a kind of fantasy post-apocalypse game. That's been done in other ways in other games, as I mentioned in More than Flirting with Disaster: Cataclysmic RPGs. I like the idea that a battle between factions ended in a symbolic act with significant magical and spiritual repercussions. What those repercussions are and what the path forward is remains in doubt. As a result you have many splintered factions with different readings on the situation. Add to that a focus on community. The players come from a settlement. They may have different philosophies, but they have the same goal of preserving and protecting that place. Now I can see a couple of different ways to make this playable at my table. A really severe transformation could make for a Dogs in the Vineyard-style game. That's interesting but perhaps not the best approach. I could go with a more classic fantasy approach- perhaps using Microscope to set things up and see what the players come up with. I could set a few terms (a political event which has had fallout, multiple factions or the like) and let them define them further. That could work. On the other hand, I could also use that as a framework/background to do a couple of pseudo-historical games I've imagined. 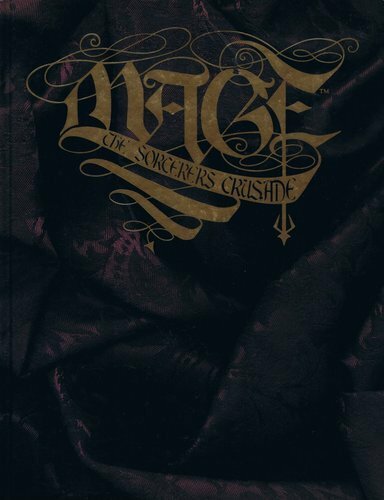 For example, the Mage: Sorcerer's Crusade game I mentioned above. It would be cool to do a game set in Britain during that period. I've also wondered if it wouldn't be possible to do that History of Hogwarts game during that period. That the kinds of schisms in the Muggle world impact the Wizarding world. That leads to Hogwart's: First Class. Those sound like great campaign ideas. I particularly like the "Superhero: Year One" concept. Your discussion of endings got me to thinking about the last campaign saw through to the very end. It ended in (to me as the GM) an unexpected place--though perhaps it shouldn't have been. The PCs all killed each other. Now, one of the characters was an assassin hired to kill another of the PCs. Of course, events put this on the backburn for a longwhile as they explored an ancient spacecraft and fought back an extraplanar evil and whatnot. Still, after all the comraderie and shared danger, the assassin was scrupulous in carrying out his assignment. I suppose that's a lesson in one man's interesting reasons for the PCs to be together is another's defining characteristic! Wow- now that's a story for the ages. You have to love that. I sat down with my players to bang out a super hero universe in Microscope to then play in using the Aberrant rules. At first they agreed, but then just wanted to dive right into rolling up characters. Microscope is awesome, let us know if you end up pulling that one off. I can imagine that if you have a pretty good and clear sense of where you want to go, then Microscope would be less useful. Especially for something like supers which has some pretty tight genre conventions- or at least assumptions. Have you played using the Aberrant rules before? I've read those and the whole thing seems interesting, but I'm unsure how it would play at the table. We've used M&M (now) and Champions (then), but I do like the background concepts of Aberrant. I still love your Year One idea and I keep toying with running such an idea, myself. I don't have the right group for such a thing, but I can hope for one day. I'm in the camp of using M&M, unless I could retool nWoD or Eden Studios ever finished Beyond Human (stop snickering, it's not polite). I like your idea for Fading Suns. While I am curious about the third edition that is being worked on, I think for what you want to do with the game, the direction you are heading is better than waiting for the official game. I seriously doubt it will provide you with everything you want. Regicide and Shadow sound like fun. I could even see Hogwarts: First Class working. You will need the framework of how things work (magic or whatnot) built, so you can explain the basic level to the players. Once you have that, they'll springboard wherever they need to go. Could you use Changeling for something like this? I sense some movement away from your house rules system of Action Cards, between this and a few of your other posts. Am I sensing correctly or just hearing things? I still like M&M, although it doesn't handle the lower levels as well as it does the higher. There are some options from Agents of Freedom that might help with that. It remains my go to system- at least that that's out and published. Fading Suns has a great deal of potential, I just have to find that right balance between new elements and keeping what's interesting in the old system. As for Action Cards, I'd say the opposite. I think we've found a really nice set of tweaks recently that make the game click. But I do want to make sure I run something besides that as well- preferably not a rules heavy system. I want to keep myself fairly agile. Generally, I like AC for longer campaigns, where the deck building pays off. For shorter (six or less session) I think the benefits decline, even with the draft mechanics. Also, like you I like to talk about running new and different game systems, but then in the end I fall back to the easier tools- the more malleable system that the players know, which in this case is AC. And one other note about AC- like FATE, I don't think it is as effective for high tension games with real randomness- like horror (for which I'd use GUMSHOE, Unisystem, or Dread). I also don't particular want to build a set of superhero powers rules, so I'd go with M&M for that, rather than rebuilding the wheel.